With its enormous sliding barn style doors and abundance of storage options, this wall unit is the ultimate entertainment center. Fit up to a 60" TV, and enjoy the convenience of open shelving that allows for easy access to all your media items. 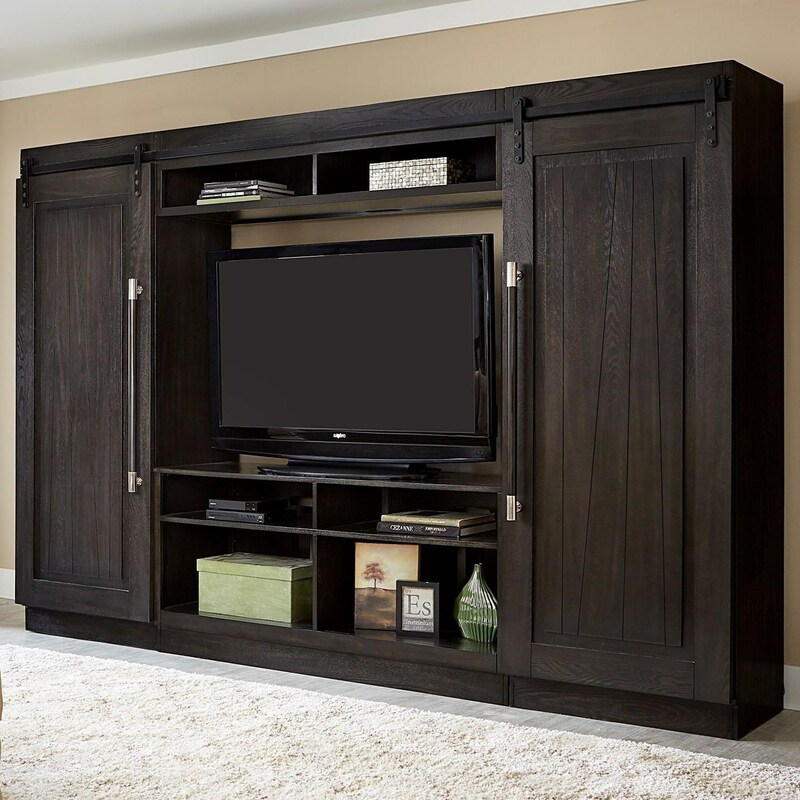 When the television isn't in use, the doors slide together to reveal two piers with open shelving for displaying items, and two felt-lined drawers for additional concealed storage options. The Abbey Entertainment Center with Piers by Liberty Furniture at Ryan Furniture in the Havre De Grace, Maryland, Aberdeen, Bel Air North, Churchville area. Product availability may vary. Contact us for the most current availability on this product. Browse other items in the Abbey collection from Ryan Furniture in the Havre De Grace, Maryland, Aberdeen, Bel Air North, Churchville area.